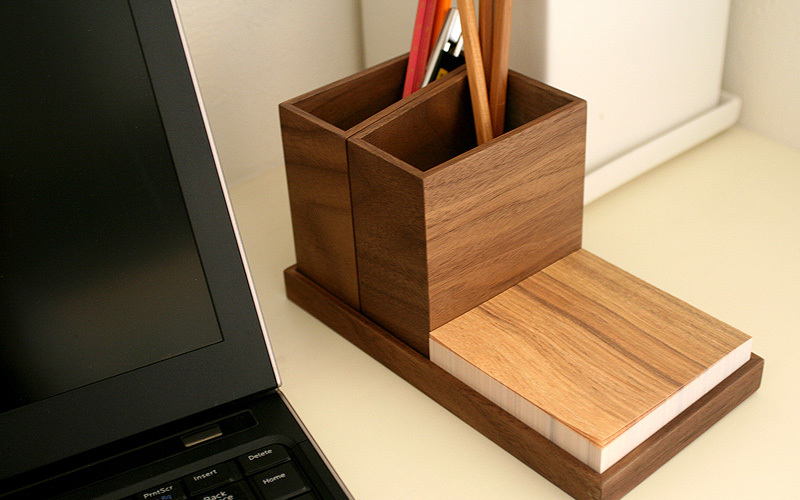 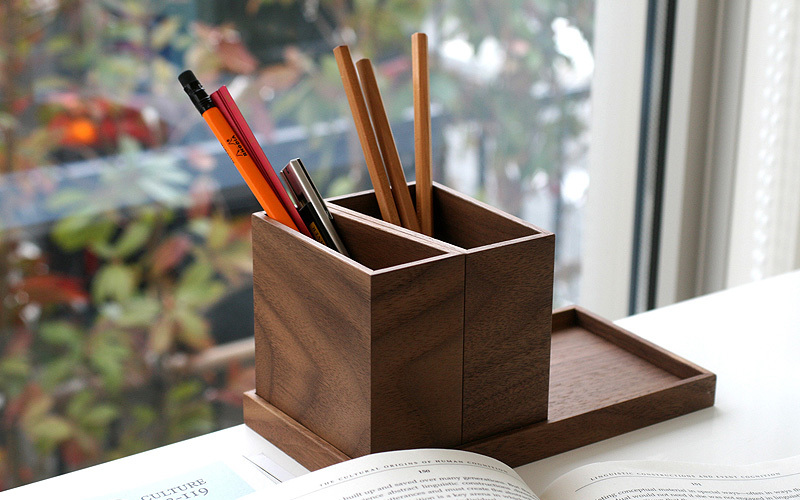 This square organizer with clean lines is designed in inspiration from traditional Japanese architecture. 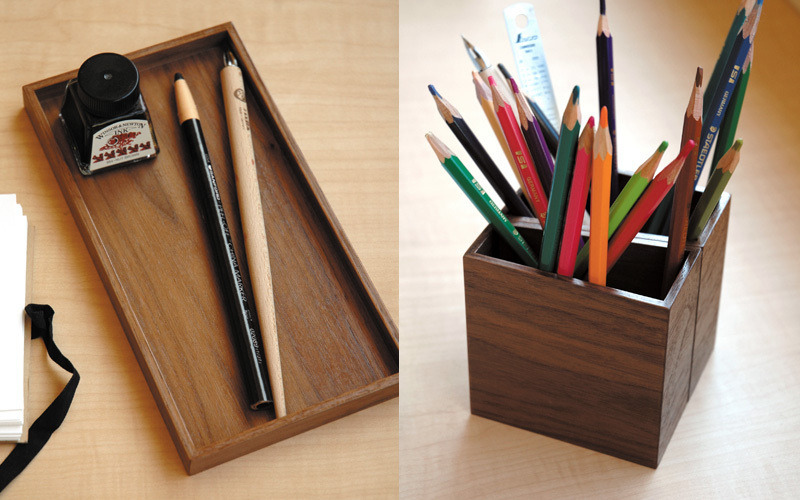 Mathematical proportion of module units allows multiple layouts with the pen stands fallen into place and nestled precisely on the tray. 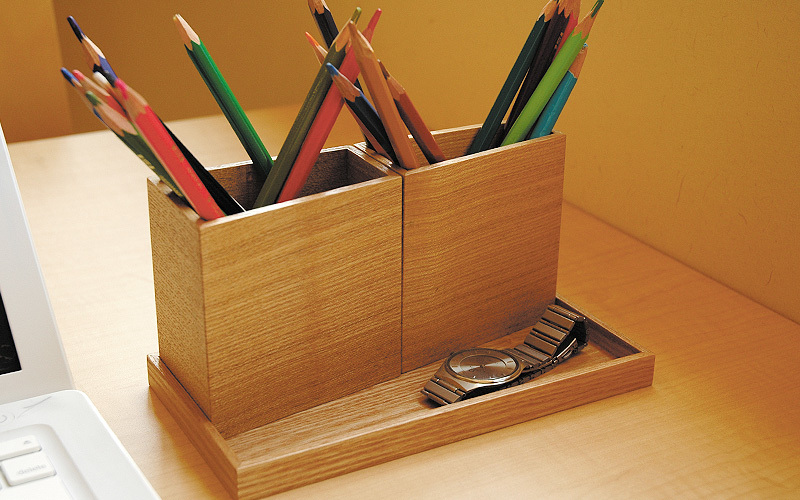 Putting your stationery back to this stylish set of tray and stand will always keep your desk neat.